More slots fans are discovering they can play slots online. They don’t have to deal with the hassles of dragging themselves to a traditional casino. But they have questions, such as..
Is it legal to play slots on the internet? Are the games easier or more difficult to win than those found in a land-based casino? What’s the best strategy to use and is there a foolproof system for beating online slots? Will online casinos try to steal their money? I’m going to answer these questions, along with many others that slots fans have asked, below. If you’ve ever wondered about anything related to playing online slots, you’ll probably find the answer below. Let’s start with the question of legality. In a word, yes. However, let me clarify an important point. There is no federal legislation prohibiting you from playing online slot games for real money payouts. You might be thinking, “What about the UIGEA legislation from 2006? Doesn’t it criminalize playing slots?” No. The UIGEA focuses on financial institutions and the manner in which they transfer funds from gambling activities that are considered unlawful in some states. State laws vary. Most states are completely fine with its residents playing slots online. A few, however, such as Louisiana, Illinois, and Nevada, have a problem with it. If you live in those states, you’re out of luck. Are Online Slot Game Outcomes Fixed? The outcomes – whether you win or lose – are dictated by a random number generator. (I’ll explain what that is in the next section.) But the games are programmed to pay out a certain percentage of the money they collect via bets. For example, a machine programmed to pay 97% will, over time, pay out $0.97 per dollar collected from gamblers. In a nutshell, short-term outcomes are definitely random. But the random number generator that makes them so ensures the machine pays out a specific percentage over the long run. A random number generator (RNG) is a piece of software. Every slot machine, online or in a land-based casino, has one running in the background. The software generates an unfathomably large number of sequences that determine how the reels line up. That’s the case whether you’re playing a classic 3-reel slot machine, one with a progressive jackpot, video slots, I-slots, or any other variation. Is There A Way To “Cheat” The Random Number Generator? One of the first things people want to know when they learn that slots are controlled by a piece of software is whether they can cheat it. After all, any piece of software can be hacked, right? It’s not that simple. First, cracking the RNG used by online casinos isn’t easy. It’s not something you can do with an hour of free time on the weekend. Second, it’s illegal. If you’re caught trying to hack an RNG, you’re not going to spend one night in county jail. You’ll probably do time in prison. So is there a way to cheat the software? Possibly. But don’t try it. 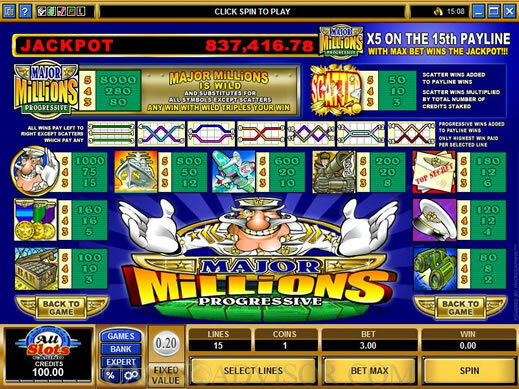 What Are The Most Important Elements Of An Online Slot Machine? The number of reels. Some machines have three while others have five. A few have seven reels. The number of paylines. Some slots have three paylines. Others have up to 100. More isn’t necessarily better in the context of winning. Coin size. It reflects the minimum amount of money you can wager on each spin. Keep in mind, you can (and should) bet multiple coins to take advantage of maximum payouts on winning combinations. Pay table. The table shows the reel and symbol combinations for which you receive payouts. How Do I Play The Bonus Feature On Slot Games? Bonus rounds are games hidden within the core slot games. They’re unlocked when the reels and symbols land in specific ways. Some bonus rounds give you a chance to win free spins. Others increase your payouts via multipliers for hitting certain symbol combinations. Still others give you an immediate cash reward. Which Is Better: Downloading Slot Games Or Playing Online? The slots you’ll find at gambling websites like Bovada Casino and Slots.lv are identical whether you download them to your hard drive or play them online in your browser. Most people prefer to play online. Why? Three reasons. They don’t have to download anything. All they need is an internet connection. They can log into their accounts and play on the laptop, tablet, or phone. In terms of convenience, it’s tough to beat playing online. Is There A Foolproof Slot Game Strategy That Will Help Me To Win? Slot games are based entirely on luck. Remember the random number generator I mentioned above? It precludes the effectiveness of any betting system or strategy. I have one piece of advice for you: buyer beware. What Is The House Edge On Online Slot Games? It varies by game. Some slots have a house edge as low as 2%. Others are as high as 15%. The house’s edge on a slot game is directly related to the machine’s payback percentage. Some games pay out less than 90% of each dollar collected. Others pay out 99%. A few pay out 100%. The “100% payout” slots are used by casinos to entice gamblers to increase the amount and frequency of their bets and play other games. They serve as a loss leader for the casino. Where Can I Find A Slot Machine’s Payback Percentage? It’s more difficult than it should be, mostly because of the inconsistency from casino to casino and game to game. Some casinos list the payback percentages right out in the open on the games’ pay tables. Other casinos make you dig for them. Still others require you to contact their support reps for the information. And even then, you may not get a straight answer. What Are The Different Types Of Slots Online? As you’d expect, popular online casinos like Bovada and Slots.lv offer an assortment of slot games. You can play the classics, they’re the ones with three reels and a single payline. You might prefer more advanced games with five reels, dozens of paylines, and exciting bonus rounds. A lot of gamblers like video slots. These games offer beautiful graphics and video sequences that make them more entertaining to play than traditional machines. They often focus on comic book heroes like Iron Man or the Dark Knight or popular television shows. 3-D slots are also popular with fans. The graphics, usually stunning, are there to ramp up the excitement of playing the games. They look realistic, which creates a more immersive playing experience. Some casinos offer “I-slots” or Interactive slots. These games are the product of Rival Gaming, the company whose software powers the slots found Bovada Casino and Slots.lv. I-slots come with compelling storylines designed to draw you in and make the playing experience uniquely entertaining. You’ll also find progressive slot games. These games come with a progressive jackpot that grows by the second. Spin the reels and hit the right combinations at the right time and you can win a life-changing payout. Which Slot Games Online Are The Easiest To Win? The games with the highest payback percentages are the easiest to win. The problem, as noted earlier, is that the payback percentages are not always listed in plain sight. Sometimes, they’re not listed at all. All is not lost if you’re unable to find this information. As a general rule, slots without progressive jackpots and those with high denominations offer the best odds. Just keep in mind that the slots with high denominations can demolish your bankroll if you suffer a prolonged losing streak. I like playing the Cleopatra slot. How Do Progressive Bonuses Work On Slot Games? As I mentioned, many online slots come with a progressive jackpot, the amount of which keeps climbing by the second. The jackpot is a pool of money that grows every time someone places a bet on a networked group of games. To win it, the symbols on the reels need to line up in a specific way. Once someone wins the jackpot, the amount in the pool returns to zero and begins its new ascent. How likely are you to win the progressive jackpot? Not very. These games come with terrible odds, which is understandable given that you can potentially win enough money to buy a house. How Do Online Slots Tournaments Work? The idea of slots tournaments might seem strange. But they are, in fact, a popular feature at online casinos like Bovada. You pay an entry fee, which gives you a set amount of credits. Think of the entry fee as your buy-in. You are then given a set amount of time – for example, 15 minutes – to play as many rounds on a particular slot machine as possible. You’ll be competing against other tournament participants. The casino will maintain a leaderboard that monitors each participant’s winnings. After the 15 minutes – or however much time is allotted for the tourney – is up, the players with the highest scores are paid a substantial portion of the prize pool. The majority of the pool is usually split among the top 10% of scorers. It can often seem so because the games are so much fun to play. The truth is, playing slots is like enjoying an alcoholic beverage. It can be a satisfying activity in moderation. But if you’re skipping sleep and betting your grocery money, you likely have a problem. Why Do Many Gamblers Avoid Slots? Experienced gamblers tend to gravitate toward games for which they can influence the odds via their playing strategy. For example, they enjoy playing blackjack because they can reduce the house’s edge by deciding when to hit, stay, double down, or split their cards. There’s no way to do that with online slots. The games are 100% based on luck. The random number generator makes sure of that. Some gamblers love that aspect of slots. Others dislike it. It’s a matter of preference. How Much Money Do I Need To Play Slots Online? Technically, you don’t need a dime. Both Bovada Casino and Slots.lv will let you play dozens of slot games for free. That’s a great way to learn how the paylines work on the games that interest you. Once you decide to play for real money, all you need is $25. The coin size on many of the games is a penny ($0.01). Given that, $25 can last a very long time. I Want To Play Slot Games Online. How Do I Get Started? The first step is to find a reputable online casino. I’ve done the heavy lifting for you in that department. After putting dozens of online casinos through their paces, I can confidently recommend Bovada Casino and Slots.lv. The second step is to test drive the different types of slot games available to see which ones you enjoy playing the most. To do that, register an account and take advantage of the “free play” environments at Bovada and Slots.lv. Play your favorite games without putting a dime of your own cash at risk. When you’re ready to play for real-money prizes, simply deposit funds into your accounts. It’s that easy! 3. CafeCasino - Big $$ bonus and a free $10 chip! 4. CasinoMAX - Get 20 free spins for 10 days straight!